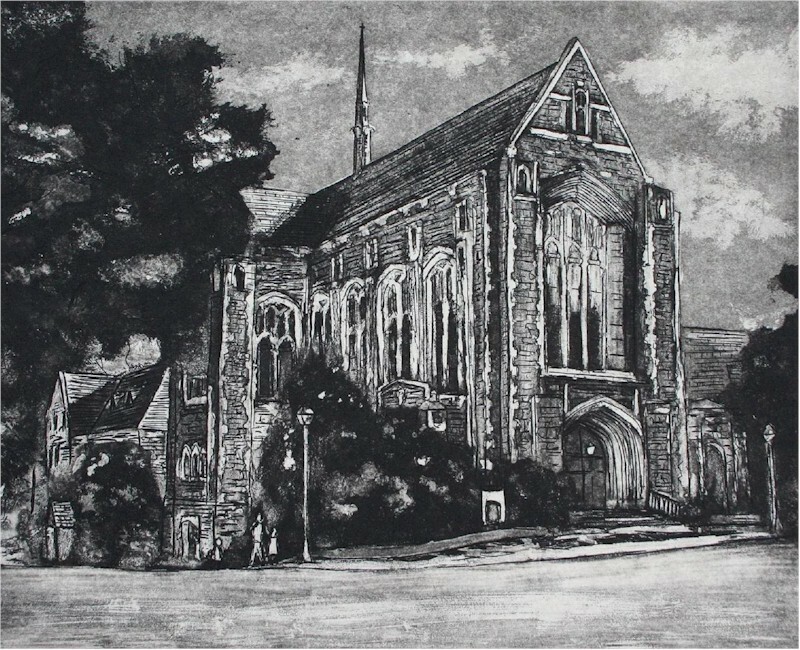 I am an Intaglio Printmaker using etched and aquatinted zinc plates printed on fine paper. I work using traditional methods of intaglio, but have transitioned most of my technique using non-toxic alternatives. All of my images are hand etched using a variety of tools and acidic baths and each print is hand printed by me in limited edition. The images in my work are often glimpses into the past, recalling those experiences personal through recollection or family stories. Working from early to mid twentieth century photographs, I look to find ones that elicit memories or may even inspire their own story. Figurative images are sometimes ghosted using a combination of two found images, juxtaposing both to create a story for each work.